Since its inception Nelta Choutari has been an ever-expanding dialogic platform where we ELT practitioners come together and share the problems we have faced while trying out the formally-acquired methods and techniques and our own resources as well as those we are supplied with, the pitfalls we have sensed while putting out our thought into action and the procedures we have adopted to overcome them. Put simply, in this interactive zone many have posted their critical reflections on what they have been doing in and out of the classroom in order to maximize their students’ as well as their own learning as teachers and teacher educators. The articles and the follow-up discussions so far have helped us bring to the surface the multiple threads of teaching and learning which are inextricably linked with global culture and local cultures (both national and communal) and the prevailing general education trends at home and abroad. Obviously, Nepalese ELT joins the changing trend of global philosophy say, postmodernism, our national and cultural philosophy i.e. Eastern philosophy and/or our national belief systems, and the prevailing general education trends articulated in our national education system. Therefore, Nepalese English and Nepalese ELT should be informed by, explored through, theorized and expanded from the three broader dimensions of learning and teaching in general a) the interaction between global and local philosophies and how the interaction has impacted our teaching and learning, b) the prevailing general educational trends at home and abroad, and c) the everyday practice of teaching to learn and learning to teach. Our philosophy shapes how we view ourselves as teachers, how we position ourselves in the dynamic space of the classroom, how we stage our agency in the overall education system, how we interpret what we teach and how we teach, how we expect our students to stage their agency, the extent to which we conform to or move away from the ‘grammar’ of language teaching informed or imposed by the ‘experts’ or mainstream ELT. Here my use of philosophy is not something that has to be deferred to ‘full-time thinkers/theorists’ or armchair critics. It is the overall belief system, both explicitly articulated and implicitly realized, that guides and shapes our teaching /learning events and experiences. If we fail to critically relate our classroom practice to philosophy and national education system, we will find ourselves lost in the middle. We can learn neither from the top i.e. the philosophical level nor from the bottom i.e. classroom events. We will find ourselves doing almost the same thing, not knowing why we are doing what we are doing. Or say, we are suffering from the ‘imitation and repetition sickness’. This is what is happening in most of the Nepalese contexts. It prevents the practitioner from maintaining a critical distance from and performing creative roles in the teaching models brought in from outside. The pile of research works in our departments and research centers, our conformist and monologic classroom practice that has hardly changed over time, and our traditional evaluation system, show up the symptoms of this sickness. Imitation or borrowing of the ideas and experiences is necessary, especially in the early stage when we lack our own well-articulated theoretical framework and principled-practice. To follow the law of evolution, this phase has to have a certain lifespan. In due course of time the borrowed experiences should be called into question, doubted and they should give way to the modified and nativized model. This demands garnering insights from the level of philosophy (thought) and practice (action) both. It is my observation that some of the previous Choutari contributions/interviews have inspired us to move in this direction. I hope that the upcoming discourse will contribute to ‘diluting’ the ethno-centric hegemonic dominance in ELT and and solidifying Nepalese English and Nepalese ELT. In this issue we have decided on the entries from the broader dimensions of changing philosophy, general education, and classroom action and reflection. The postulation is that our ELT experience, experiment, and exploration through formal/informal research, are integral to and reflection of these dimensions. In his interview, Prof. Bhattarai explores the interface between postmodernism and education in general and ELT in particular. Initially there were nine questions given to him, each dealing with a different thread of postmodern thought and creative writing related to language pedagogy. Given the constraint of space, I have decided to include only two answers in this issue. The rest will have their space in the forthcoming issues. The contributors, namely Shyam Sharma, Gopal Prasad Bashyal and Renuka Dhakal shed light on different yet highly related areas of English language teaching. With his prime focus on the value of professional conversation, Sharma, one of the architects of Choutari, highlights the prominent role that Choutari has played in the initiation and continuation of such conversations. Centered around the probing questions in ELT, his article is both reflective and refractive. Bashyal is all reflective. He looks back in his professional journey that he made in the year 2012. He owes his achievement to NELTA and its sharing and caring culture. 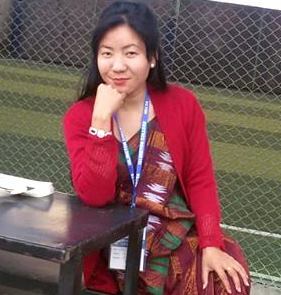 Dhakal recounts how she was taught English grammar in school and how she is trying to move away from the traditional form-focused approach to embrace the meaning-focused approaches such as Communicative Approach and Task-based Language Teaching while teaching her students at present. This issue also contains an excerpt from a book entitled New Horizons in Education in Nepal by Prof. Tirth Raj Khaniya. The type of English and ELT we envisage to evolve in future is largely determined by the type of education that the nation has envisaged. The excerpt entitled Envisioning Future Development of Education in Nepal could be relevant to see the future of Nepalese ELT in relation to the future development of Education in Nepal as envisaged by the author. Finally, it is the maiden issue from the new team of the Choutari editors. We are honored to get this opportunity to continue the legacy. I would like to thank all the contributors because of whom this issue has been possible. Thanks also go to Suresh Shrestha for his help in editing one of the drafts, Praveen for coordinating and Sajan ji for being with me in my hour of need. We are grateful to the outgoing team of editors whose trust in our professionalism and dedication has been a source of strength and inspiration.